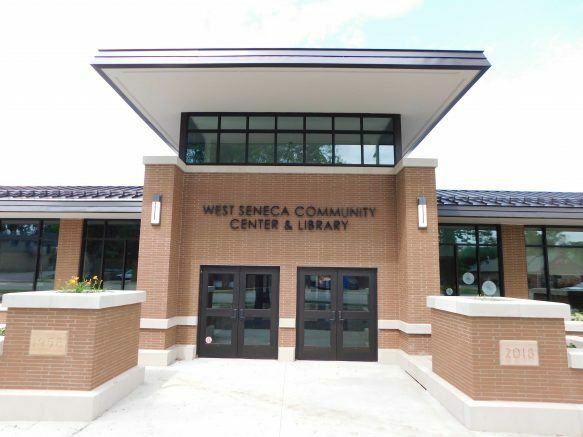 The Community Center & Library is located at 1300 Union Road in West Seneca. The West Seneca Chamber of Commerce will host Senator Patrick M. Gallivan’s Small Business Summit on Thursday, Oct. 18, in the large meeting room of the West Seneca Community Center & Library located at 1300 Union Road. Check-in will begin at 7:30 a.m., followed by the presentation from 8 to 9:30 a.m. and networking from 9:30 to 10 a.m. The event is free and open to the public, and a light breakfast will be offered. Senator Gallivan will speak about what is currently being done in Albany that will impact small business. Senator Gallivan was first elected to the Senate in 2010, representing all or parts of Erie, Wyoming, Livingston and Monroe counties. He serves on the Senate’s Commerce, Economic Development and Small Business Committee. Following Senator Gallivan’s presentation, Frank Swiatek will discuss increasing your sales through Six Sigma thinking. The percentage of sales representatives meeting their quota has dropped from 63 percent to 53 percent in five years. The turnover rate for sales reps is 25.5 percent, which is twice the national average for other positions. A recent survey showed that 49.2 percent of sales forces need improvement. Despite these metrics, companies are still applying the “usual fixes” with limited results. This session will show you how to use practical tools to get at the root cause of your sales problems and challenges and make permanent improvements. To reserve your place at the Small Business Summit, please contact Mitch Martin, community representative for Senator Gallivan, at mitch@senatorgallivan.com or 656-8544. Please note that space is limited for this free event. Be the first to comment on "Free Small Business Summit planned at West Seneca Community Center"